VALLEY FORGE, Pa. — It was a crisp, autumn day. The tricolored leaves had fallen to the ground and the fresh air was chilling with every new breath. It was peacefully silent, vastly spacious with nothing but green spanning from side to side, yet there was no sense of emptiness. In the far distance of my view, were small wooden constructions along with gravel and the National Memorial Arch directly across. 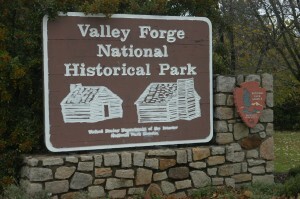 I am in Valley Forge National Historical Park located here and just a short drive northwest of Philadelphia. The visual attributes of the landscape rendered a scene from the Hudson River painters. Some could say lacking substance, just soaring skies and open space of dull, natural colors, but the characteristics of the flush greenery, the pine cones and pine needles alone allowed for my imagination to feel otherwise. 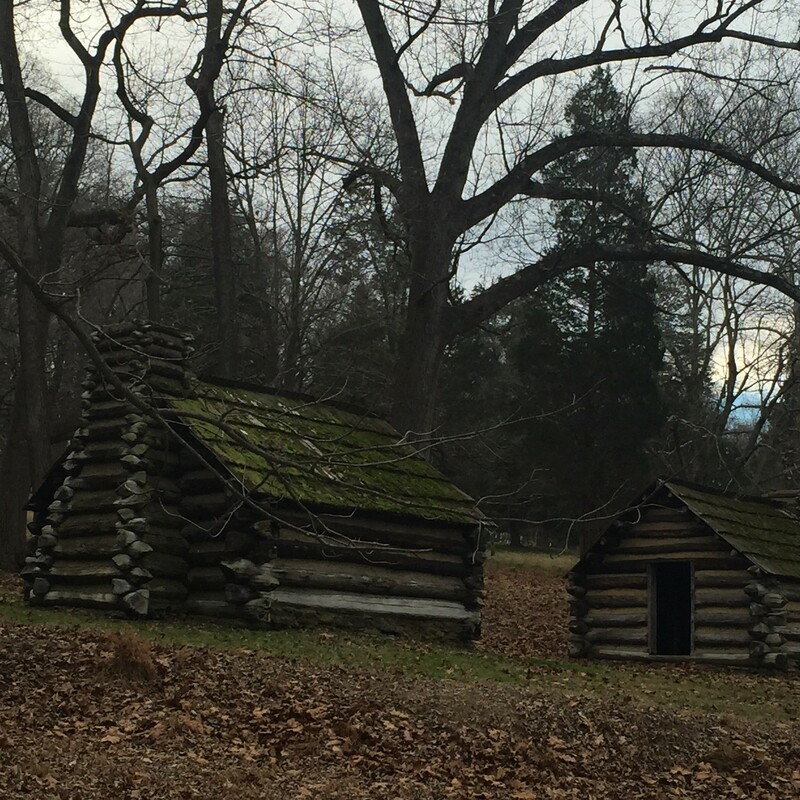 At left, winter cabins for the Continental Army (Photo by Chiara DiGiallorenzo). Below, the Knox Covered Bridge on Yellow Springs Road (Staff photo). I could not help my mind from flashing back to the vivid memories of my childhood: running free, understanding and appreciating nature in this space. It felt large, incomprehensible then, yet the feeling remained poignant 15 years later. 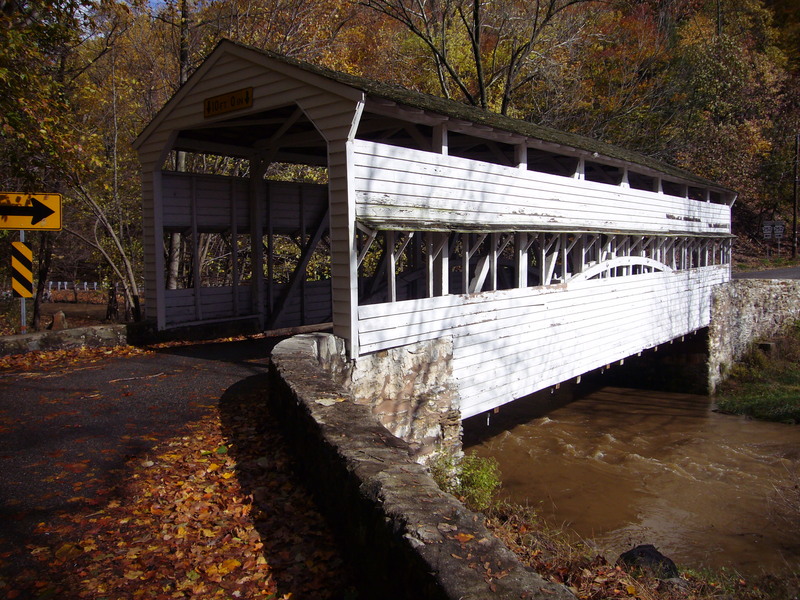 Growing up in Valley Forge, Valley Forge National Historical Park was the ultimate playground; it was an extension of my backyard, the site where I first rode a bike, had memorable play dates and family picnic outings took place. But most importantly, it was here that I first learned the meaning of “freedom,” after successfully panicking my father, winning our game of hide-and-go seek by residing in one of the many wooden forts for 30 minutes. Once found, I was given a detailed account of George Washington and the life of his soldiers in Valley Forge. I understood the struggle because I could physically feel the uncomfortable living conditions of the troops’ very beds. I could comprehend the timeline as the stench of mildew inside the forts filled my stomach with nausea. I sympathized with the Continental Army as I began developing goose bumps from the brisk darkness of the falling night. “You were intrigued that the grounds you felt the most free were at one point in time the battlefield that signified our American fight for freedom,” explained my father, another local of the area, David DiGiallorenzo. Of course, my thoughts were not so metaphorically grounded, but I did feel this exact sense of connection. “It’s different growing up near the park. Locals definitely do use the park differently than the people who come here to experience history. Luckily, our dad allowed for us to appreciate both aspects. That’s always a large part of understanding where you are from,” said my younger sister, Stefania DiGiallorenzo. 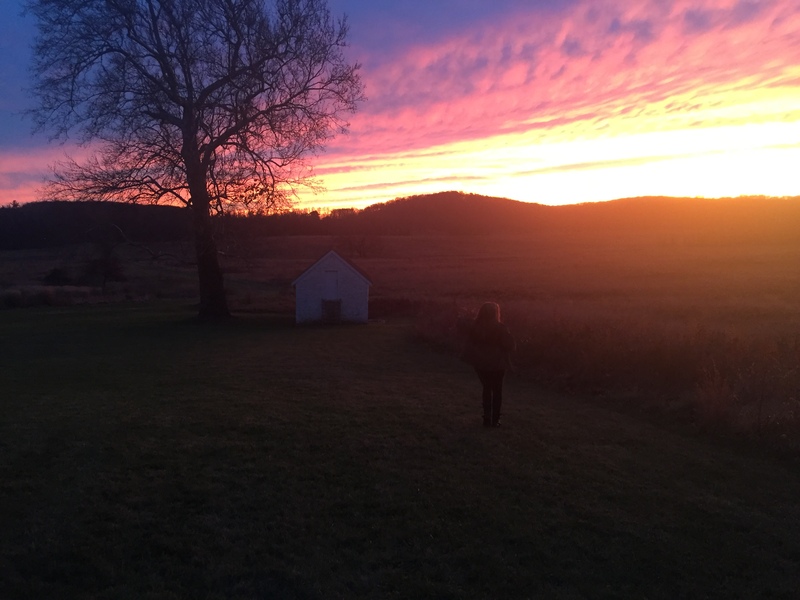 Sunset in Valley Forge National Historical Park (Photo by Chiara DiGiallorenzo). Making note of this metaphorical moment in my childhood, the same symbolism applies to anyone who chooses to visit Valley Forge and immerse in both the freedom the parkland has to offer, and one of the nations most well known Revolutionary War sites where George Washington set up camp with the Continental Army in the winter of 1777. 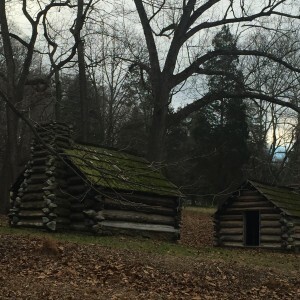 Evidence of the army is still present throughout the park, through the hundreds of small log cabins, cannons and even George Washington’s headquarters and home, which were referred to as the “Pentagon” of the era. “It’s always my go-to spot when we have guests visiting. It’s a crucial landmark in American history,” added David DiGiallorenzo. The aura of the fight against the British is far from lost in Valley Forge. The Patriot Trails, the interactive Revolutionary War Historical Tour, brings visitors on the actual path of the soldiers, all while being dressed in colonial costumes and role-playing as them. For a different option, the park offers audio guides, trolley rides or for an additional price, a guide to lead visitors through the park by joining in their car. “Although we’ve become tour guides of our own sorts, the preservation teams and visitors centers have done a great job at maintaining the ambiance of the park and setting up different education and recreational ways for tourists to enjoy,” added DiGiallorenzo. A dedicated monument in remembrance of the Continental Army (Photo by Chiara DiGiallorenzo). On any given time of the day, there are always people enjoying the simplicity of the park, the freedom to come and appreciate nature and the fresh air. 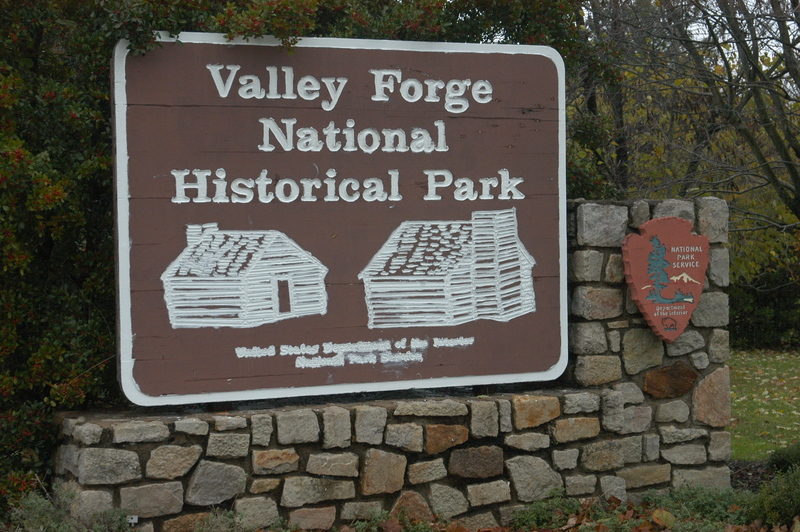 Containing more than 28 miles of authorized trail space, Valley Forge is a haven for people to enjoy walking, hiking, biking and horseback riding. 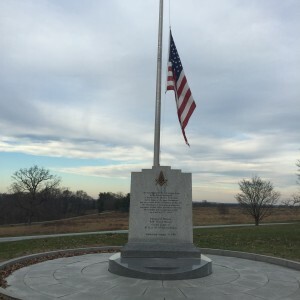 Being a picturesque national park as well as a historical site, Valley Forge is a great educational site and recreational destination for all ages. It’s a place that reinforces American independence through the significance of our fight for freedom and the beauty of the vast opened space. Hours: Daily 7 a.m.-6 p.m.
Free parking available next to the Visitor Center as well as at several important locations within the park. I-76 Schuylkill Expressway west to Exit 328A . Stay Right and merge onto U.S. 422 east. Take Valley Forge exit onto Route 23 west. Turn right at exit ramp and merge to the center lane. Park entrance is straight through the first set of traffic lights (at intersection with North Gulph Road).